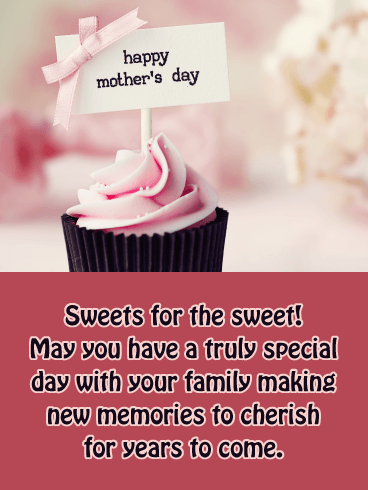 Sweets for the sweet they say! 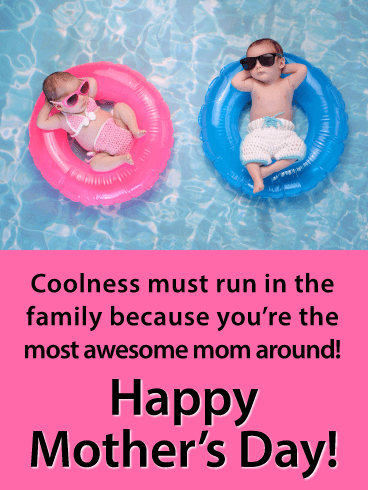 I’m not sure who they are…but we agree! 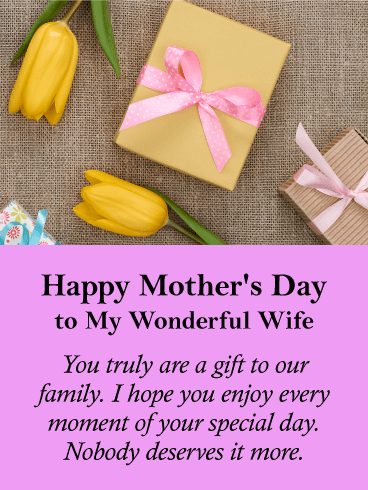 There’s nothing quite like a cheerful cake, candy, or pie to brighten up a celebration! 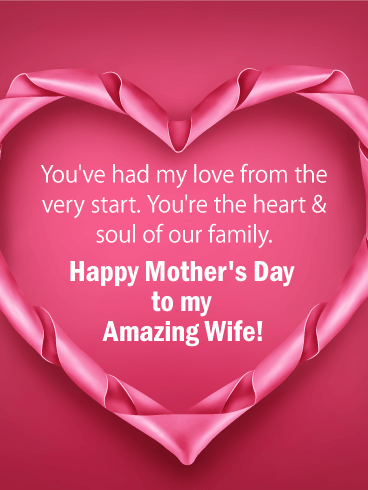 Send your sweetheart friend this beautiful cupcake card to wish her a very Happy Mother’s Day! 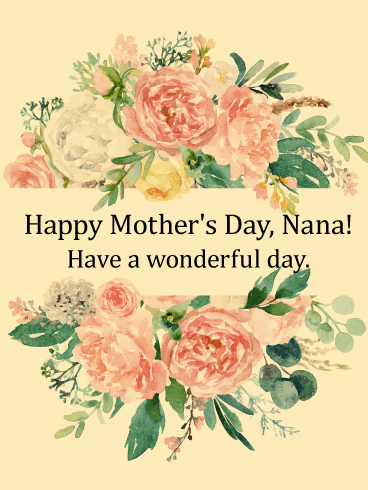 May she have a special celebration with her family and create beautiful new memories they’ll cherish for years to come. 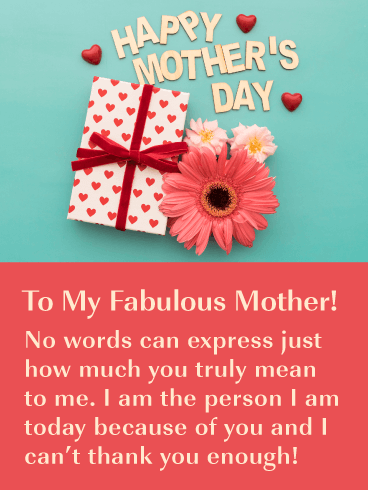 Me-wow! 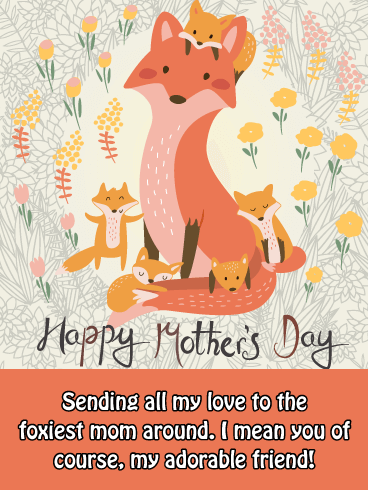 This card will bring a smile to your best fur-iend’s face when she receives it. 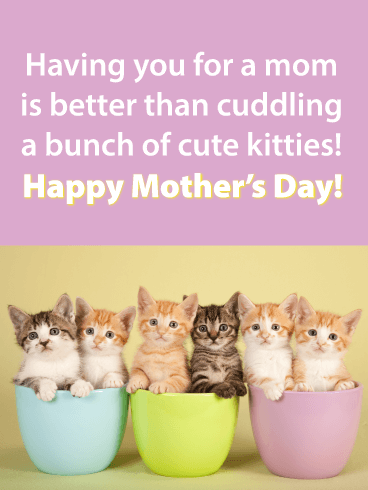 Especially purr-fect for a cat lover or a tea enthusiast, the Tea-Riffic Mom Happy Mother’s Day Card is practically purring to be sent out into the world already! 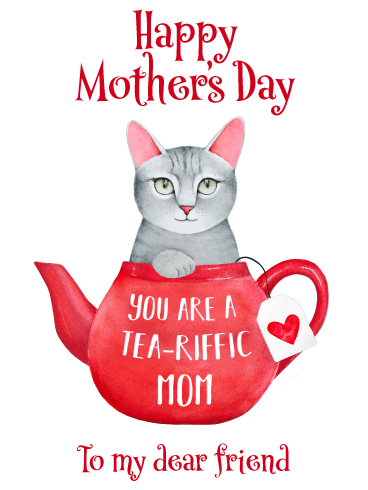 With a beautiful print of a grey cat sitting in a cheery red teapot, this card is guaranteed to win you major brownie points with your friend! 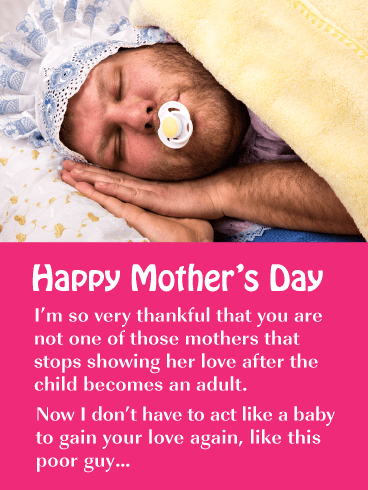 I’m a mom, what’s your superpower? 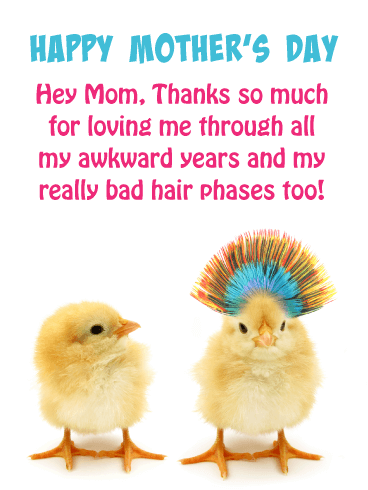 If that phrase reminds you of your friend, we’ve got the perfect Mother’s Day Card for you to send her. 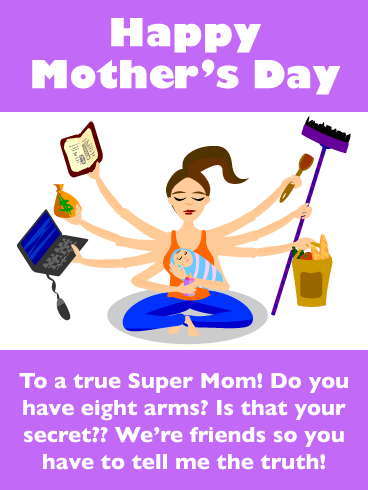 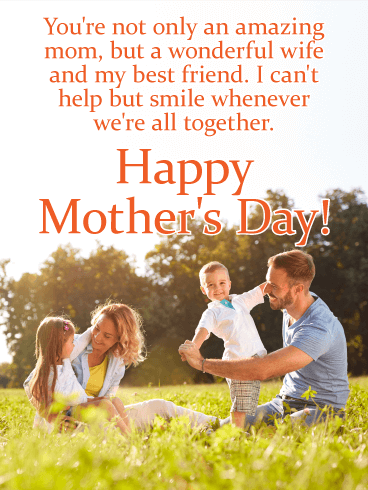 The Super Mom Funny Mother’s Day Card has a hilarious cartoon of a woman with eight arms juggling all her everyday tasks while also holding her sweet baby. 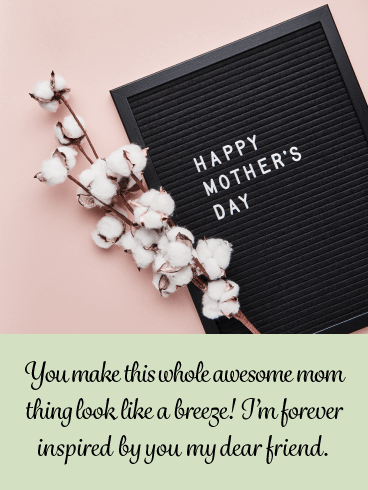 The message jokes that your friend is secretly hiding eight limbs of her own! 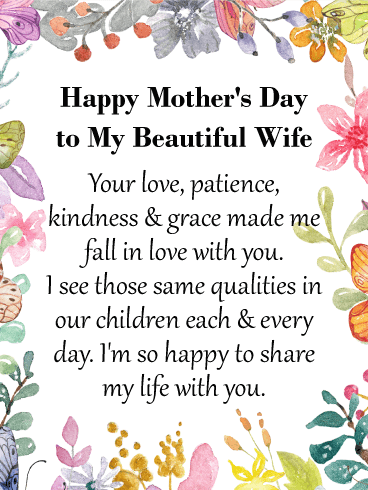 You've shared a love together that will last a lifetime. 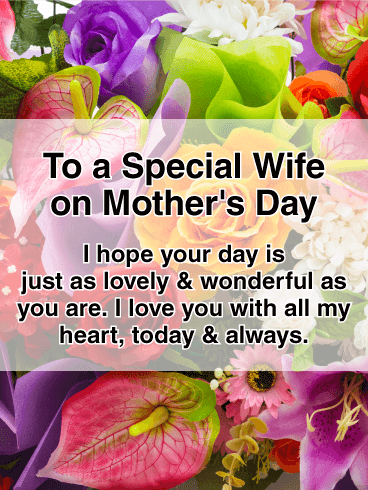 She's a friend, confidant and super woman who is the heart and soul of the family. 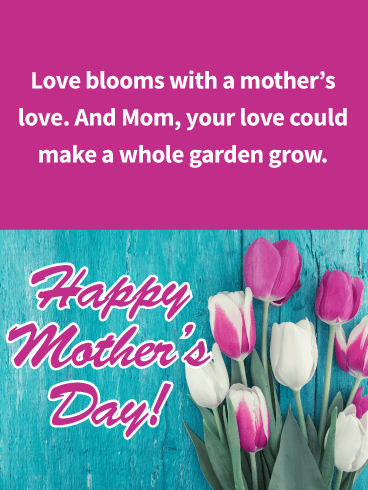 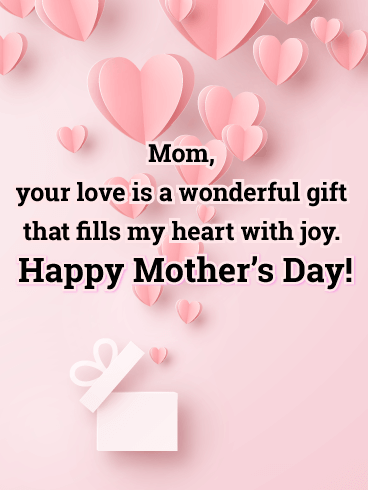 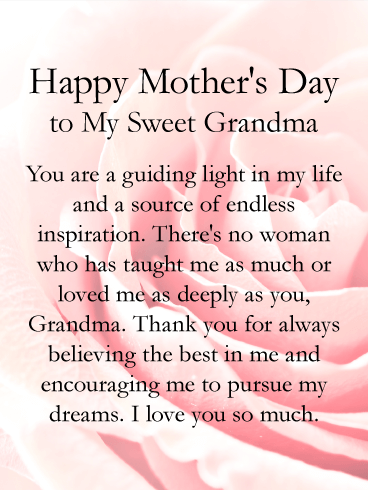 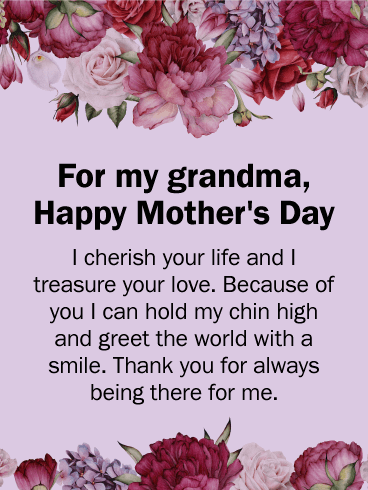 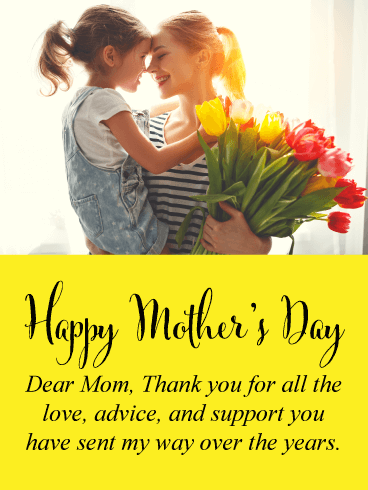 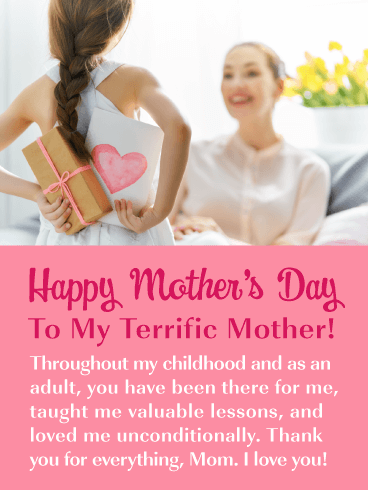 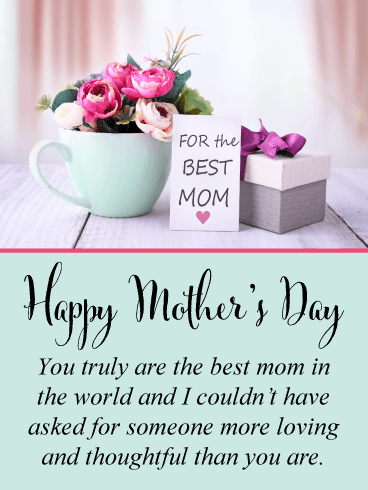 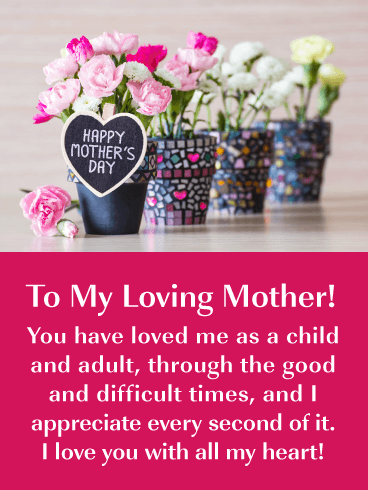 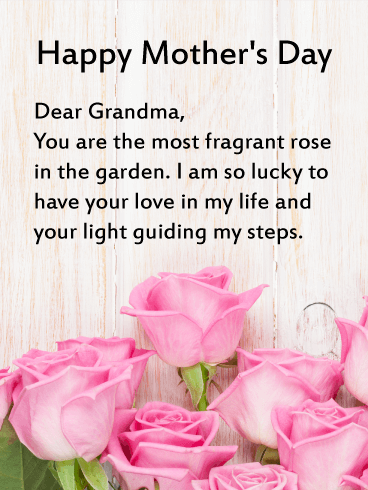 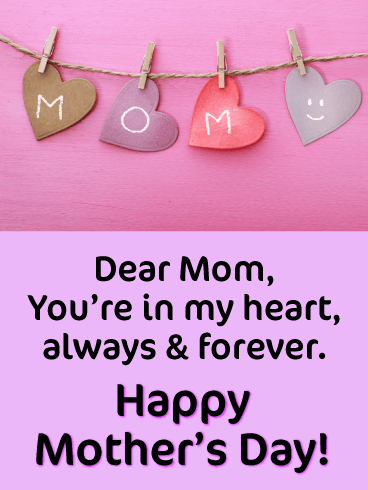 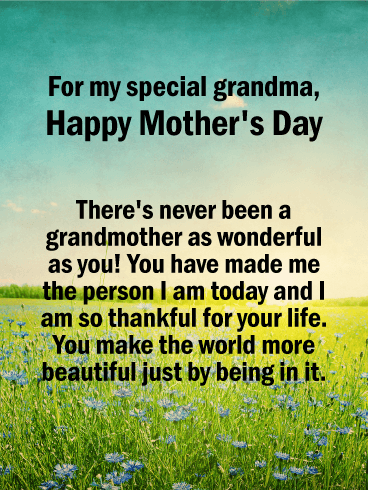 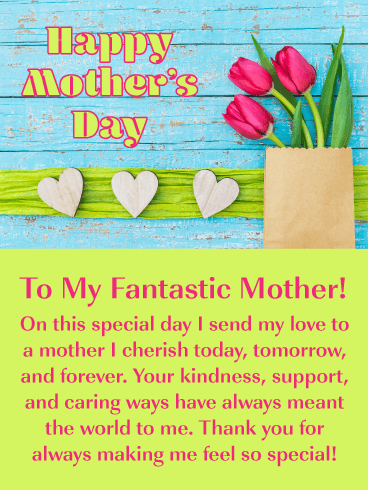 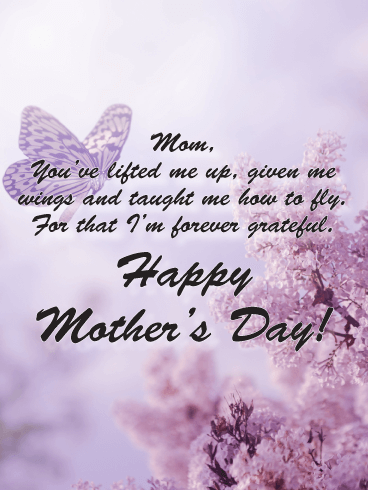 On Mother's Day, let her know you how much she means to you with this beautiful card, which features a lovely pink heart and your touching words to make her feel special. 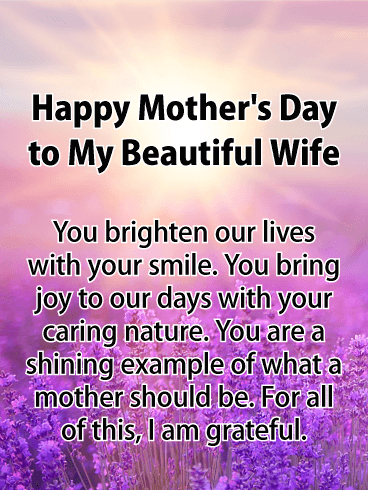 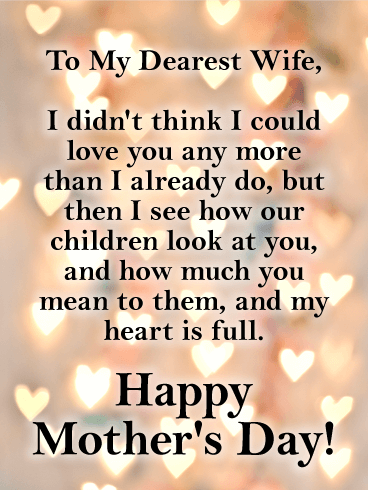 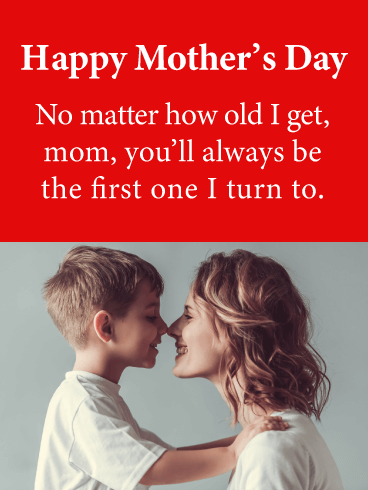 For your wife who means everything to you, make her Mother's Day unforgettable with this beautiful card, which lets you tell her exactly how you feel. 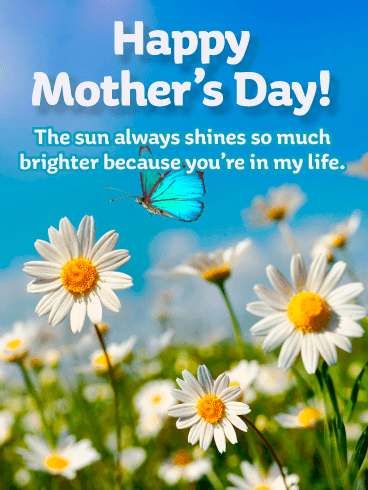 With a beautiful blue sky background, the sunlight streaming through, it's a touching way to tell her how blessed you are to have her in your life. 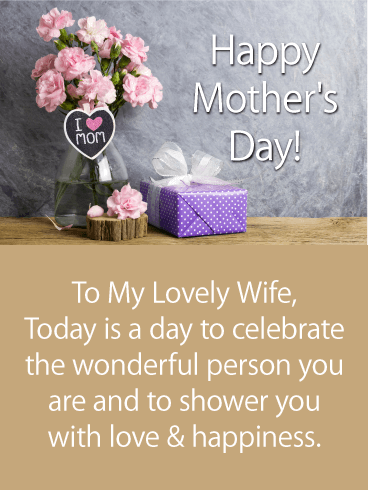 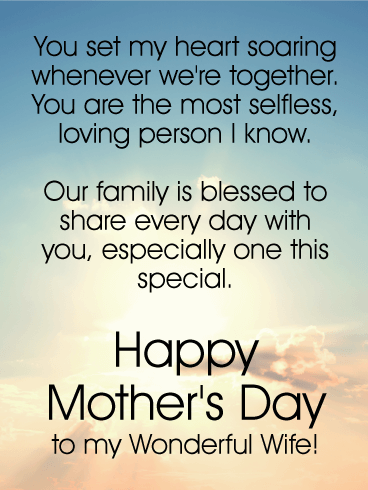 When it comes to your wife, there is no one more deserving of a special Mother's Day. 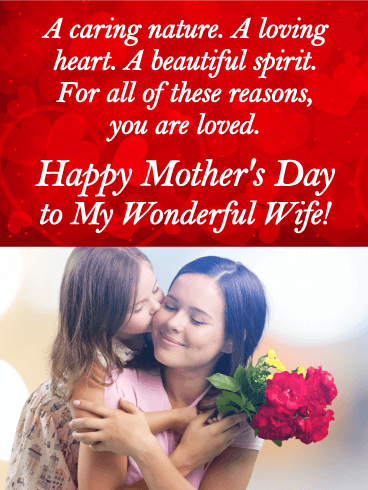 Surprise her with this lovely card, which will shower her with kind words and love. 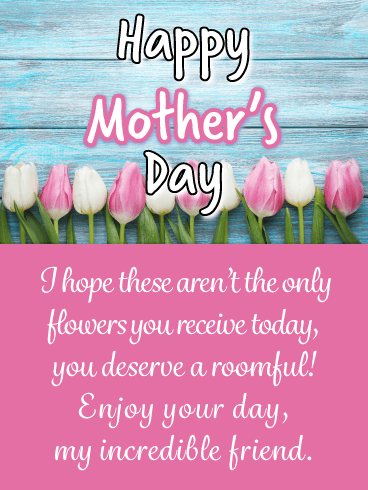 Pretty pink peonies in a vase and a charming gift wrapped up with a bow add to the festive feeling of this greeting, which is sure to make her smile with delight.